Murder by Gaslight: The Brooklyn Barber. A farmhand walking through an oat field in Watervliet, New York on August 7, 1873 came across the corpse of a one-armed man at the top of a ravine. Decomposition had set in and the man’s facial features were all but obliterated by the sun. A razor found on the ground near the body inclined the coroner to think the death was a suicide, but a closer examination revealed that, in addition to having his throat cut, the man had been shot nine times in the head and chest. There was nothing on the body to indicate the identity of the man except for a business card from a barbershop in Brooklyn, 150 miles south of Watervliet. A business card found on an unidentified corpse in Watervliet, New York, read “Theodore Grunewald, barber and hair dresser, 35 Atlantic street, South Brooklyn.” At Grunewald’s barbershop detectives learned that on August 5, an employee of the shop, Emil Lowenstein, came in early, took all of his tools, left without a word and never came back. Lowenstein and his wife lived in the upper half of a two family house in Brooklyn. John D. Weston and his wife lived in the downstairs apartment. The detectives arrived there and found Mrs. Weston distraught; John Weston had disappeared the same time as Lowenstein. Weston had left the house the morning of August 5, carrying a small satchel that he had recently purchased. He left twenty dollars on the mantelpiece and told his wife “there is some money to get breakfast with” and hadn't been seen since. Weston was a soldier and who had lost an arm in the Civil War, and he left the army with a sizable pension. He had also managed to save some money from his job selling newspapers. When Weston failed to return home, his wife checked their bank accounts and found the he had withdrawn all of their savings, $458, from two accounts on August 4. She recalled that he had gone out with Lowenstein and when he returned that night he took hold of Lowenstein’s arm and said, “Remember now, Emil.” To which Lowenstein responded, “Yes.” The next morning both men were gone. There was evidence that they had taken the Harlem railroad to Chatham, there changed trains for Albany, arriving at about 5:14. From there they went to Watervliet where, the authorities believed, Emil Lowenstein murdered John Weston. But the reason Weston had withdrawn all his money, and the purpose of their journey could not be determined. On August 6, Lowenstein returned to Brooklyn and had apparently come into some money. He began buying new furniture for the apartment, new clothes and jewelry for his wife and himself, and he put a down payment on a barbershop of his own in Manhattan. He also made a strange request of his wife; he said John Weston had given him two revolvers and he wanted her to throw one of them into the river. She obliged while traveling on the ferry from Brooklyn to Manhattan. Soon after, Mrs. Lowenstein read in the newspaper about the one-armed man found murdered in Watervliet. She put two and two together and accused her husband of killing John Weston. He vehemently denied it but realized that if he stayed in New York he would be accused of Weston’s murder. Lowenstein planned to flee to Canada where he believed he would be safe. His wife refused to take any money from him, but finally agreed to join him in Canada when he wrote for her. The police were convinced that Lowenstein was guilty but had no idea where he was until, some time later when they searched Mrs. Lowenstein’s apartment and found a letter addressed to Hannah Davidson (her maiden name) postmarked St. Catherines, Ontario. They traced him to a barbershop in St. Catherines and found that he owned a set of six razors with the initial “L” carved in the handle, along with a Roman numeral, I – VI. The razor found at the murder scene had the letter “L” and Roman numeral “VII” carved in the handle. 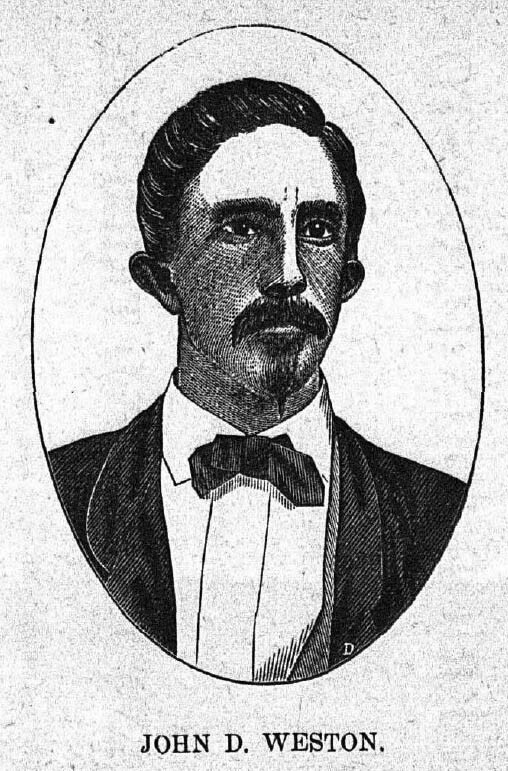 Emil Lowenstein was arrested and brought back to Watervliet, New York. Lowenstein pleaded not guilty. He claimed he had not traveled with John Weston to Watervliet but had gone to Philadelphia on August 5, to visit his father. In an earlier trip to California he had accumulated a large sum of money and hidden it behind a loose stone in the wall of Moyamensing prison. After seeing his father he had gone to the prison and retrieved the money which was why he was able to spend so freely when he returned to Brooklyn. The case against Lowenstein was extremely circumstantial and much of the closing arguments had to do with the amount of evidence necessary to convict him of murder. His attorney argued that there was not sufficient evidence even to identify the body as John Weston. He spoke for five hours, saying essentially, that it was necessary for the prosecution to prove beyond a reasonable doubt that no one but Lowenstein could have murdered Weston—a level of certainty that they had not achieved. The jury disagreed, and after only seven minutes of deliberation, found Lowenstein guilty of first degree murder. Emil Lowenstein was sentenced to be hanged. There were no appeals, but an application was made to New York Governor, Dix to commute the sentence to life in prison. Governor Dix refused to do so. 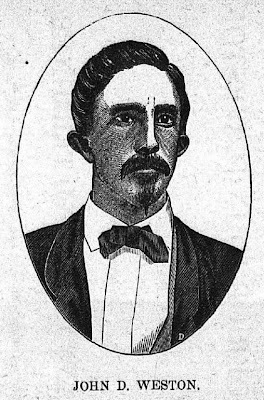 Lowenstein‘s execution was set for April 10, 1874. New York State, at the time, used a method of hanging in which a falling weight jerked the body upward, as described in the case of Benjamin Hunter. Lowenstein's neck was instantly broken, but it took nearly ten minutes for him to die. Emil Lowenstein’s body was buried in St. Mary’s burying-ground on Washington Avenue in Albany. Hamilton, Allan McLane, and Lawrence Godkin. A system of legal medicine . New-York: E.B. Treat, 1900. Lowenstein, Emil. 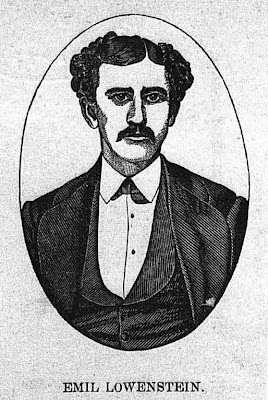 Trial of Emil Lowenstein for the Murder of John D. Weston, at West Albany, August 5, 1873, Commenced at the Albany Oyer and Terminer, Monday, January ... Arguments of Counsel, Charge of the Court. Albany: William Gould & Son, 1874. "The Death Penalty." New York Times 11 Apr. 1874.